Telangana Chief Minister Kalvakuntla Chandrasekhar Rao, who is trying to establish a federal front, is meeting with heads of various regional parties in the country.,already over this alliance Chief Minister KCR met the West Bengal Former Chief Minister Mamata Banerjee and former prime minister Deve Gowda and discussed with them. News has come out as the Naveen Patnaik, the Chief Minister of Odisha and Biju Janata Dal chief has invited KCR to discuss on the formation of the Federal Front . 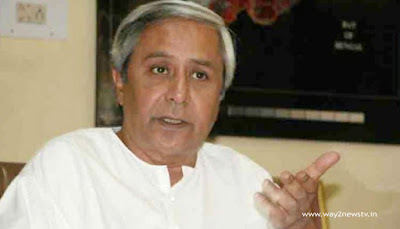 and KCR is going to Bhubaneswar in the first week of May.But Naveen Patnaik has dismissed these claims.Speaking to the media on Wednesday, he said, "Telangana CM KCR said that he would call and meet me. KCR is coming to visit the Puri Temple and that's why I got a phone call ... And there is no way to talk about the Federal Front and other political issues, "he said. The Telangana CM's office has made a statement three days ago that Naveen Patnaik will meet KCR on the formation of a Federal Front. "In the first week of May, Chief KCR has taken a decision to go to Odisha and meet with state Chief Minister Naveen Patnaik in Bhubaneswar and discuss national politics ... KCR decided to meet in the first week of May, as Odisha Assembly meetings are going on." Mamata Banerjee is in such a confusion. When he announced the formation of the Third Front, West Bengal Chief Minister Mamata Banerjee welcomed her and informed her that she had come to Kolkata. But some magazines have reported that Mamata was telephoned by Telangana CM Chandrasekhar Rao.